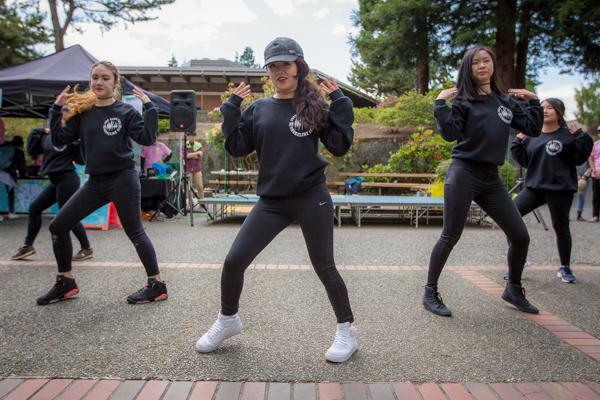 Limbo, lip synching, pie eating and food trucks! 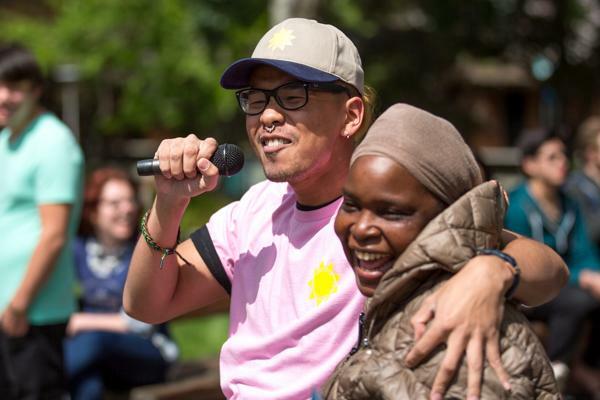 Sunfest, SCC’s annual spring quarter celebration, came to campus on Wednesday, May 25 and Thursday, May 26. As part of the festivities, food trucks rolled into the courtyard offering everything from crepes to Korean food. 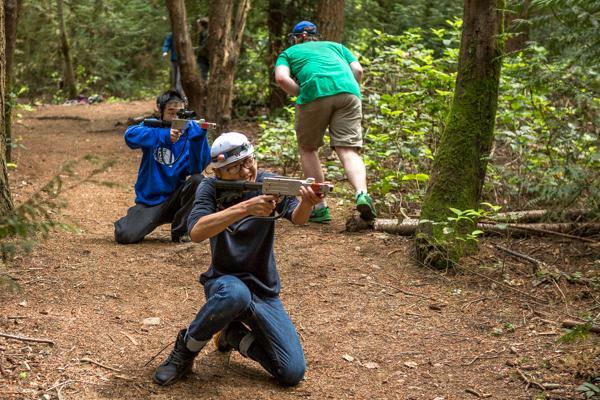 On Wednesday, students gathered for pie-eating contest and a dance show in the courtyard, and on Thursday they flocked to the woods behind the soccer field to play laser tag. The Ebbtide has captured some of these events on camera. 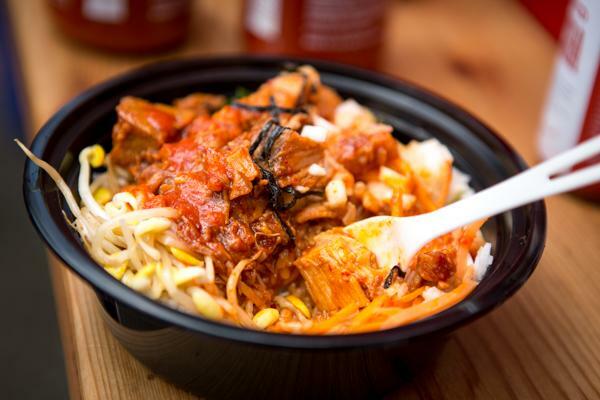 A fresh bowl of pork Bulgogi, a Korean dish provided by food truck Seoul Kitchen. 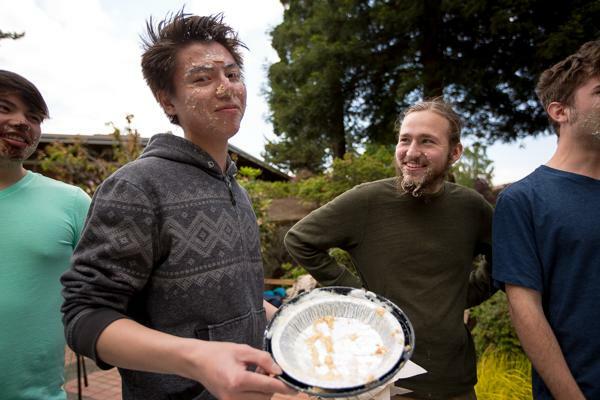 Calvin Li, the winner of the pie eating contest, was the only competitor to completely clean his plate. The Just Dance Club performed right after the pie eating contest, providing a much-needed palate cleanser for the crowd. Bo Bunphoath jumps off the stage to dance with audience members halfway through his lip-synch routine. Students provide cover fire for one of their squad members, allowing him to execute a textbook tactical retreat.